Photography is such a huge part of our daily lives - in family albums, on our cereal boxes, and in magazines, newspapers, and textbooks. Two professional photographers explain and demonstrate how mathematics is an integral part of good photography and photographic design. •Explore how geometric elements are used in the composition and balance of pictures and the arrangement of pictures. 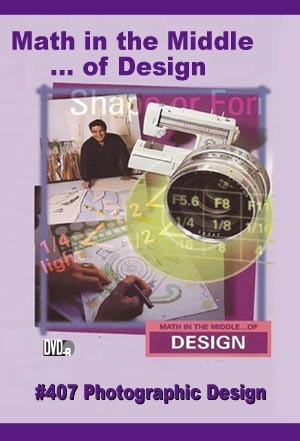 •Analyze the mathematical applications of F-stops and shutter speeds.